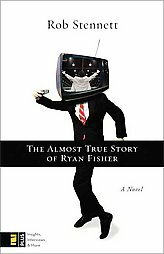 Just recently I finished reading a hilarious, satirical novel, The Almost True Story of Ryan Fisher, by Rob Stennett. The premise is set on a struggling real estate agent that begins to exploit Evangelical culture in order for his business to thrive, but the deeper he gets into Evangelicalism, the more he realizes how he can manipulate Christians for his own success. The humor comes from Stennett’s writing style as well as his ability to peg Evangelicalism for what it is. While never unduly harsh, Stennett is able to point to the areas that make us vulnerable to fads and charismatic figures. It is always a good thing to laugh at yourself, and this novel will certainly make you laugh.